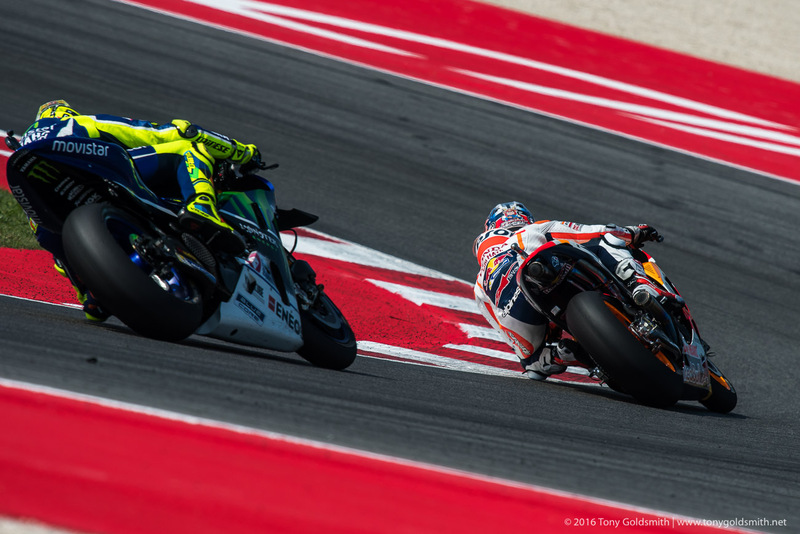 From Silverstone to Misano: it is hard to think of a starker contrast in circuits. Silverstone sits atop a windswept hilltop in the center of England, surrounded by verdant valleys and ancient villages. Misano nestles just above the vast string of late 20th Century hotel blocks, which form Italy’s Adriatic Riviera. Silverstone is often wet, and usually cold, no matter what time of year we go there. 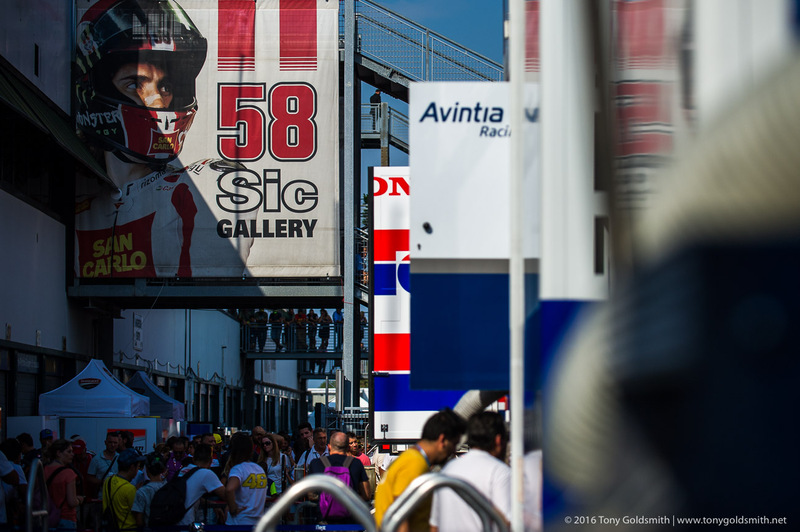 Misano swelters in the heat of a late Italian summer. The tracks are very different too. Silverstone is a vast, sweeping expanse of fast and challenging tarmac. 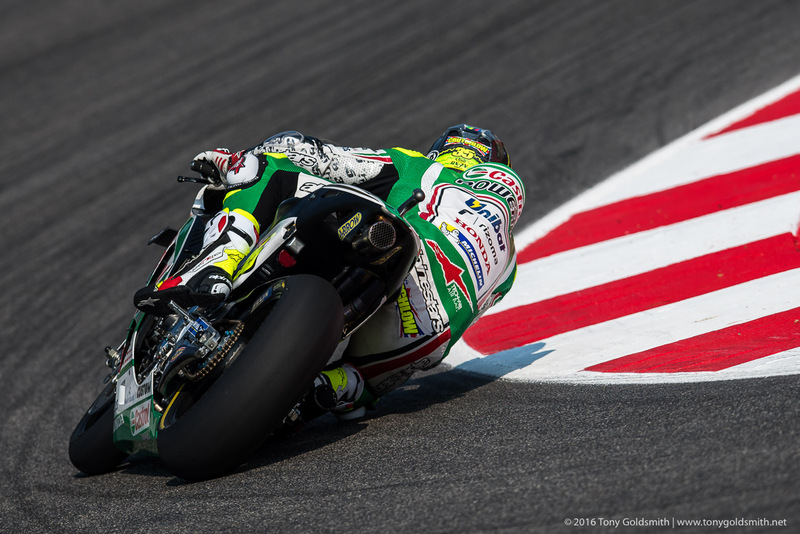 Misano is a tightly compressed complex of loops demanding more of fuel management, than of the rider. Silverstone has old, worn, slippery tarmac with huge bumps rippled in by F1 and other car racing. Up until 2015, Misano was much the same. But it was resurfaced last year, and has fresh, dark, smooth asphalt that has a lot more grip than the old surface. So the MotoGP riders face a very different kettle of fish a week after Silverstone. The layout of the track is likely to have the biggest impact. Where Silverstone is full of fast third and fourth gear corners which riders enter carrying a lot of speed, most of the turns at Misano are all first and second gear. Drive and traction are the watchwords, though there are three or four corners where braking is at a premium as well. “It’s like drinking from a firehose” is the phrase I would use over and over while telling people about my recent trip to this year’s World Ducati Week. The three-day event attracted 81,000 rabid Ducati fans through the gates of the Misano race track, which is just a stone’s throw from Italy’s Adriatic Coast. One of the best race tracks in the world, along one of Italy’s best beaches…the recipe for success here might seem obvious. Beyond these factors though, World Ducati Week itself is a magnet event that attracts Ducatisti from the world over by offering them the ultimate Ducati experience. Strangely enough though, you don’t even have to be a Ducati fan to attend – though it helps – as WDW2016 is something that any motorcyclist can enjoy. For my part in this, I will admit to having more than one Ducati in my garage (none on press loan, mind you), so consider my glass of Kool-aid aptly filled, but truthful Ducati has put together a motorcycle enthusiast agenda that other brands and venues should take note of . As such, World Ducati Week is a great example of how to get motorcyclists excited about being…well, motorcyclists. Ducati does this by having no shortage of events and spectacles for fans to enjoy, and while the venue is a race track, most of what makes World Ducati Week special doesn’t take place on the Misano Circuit itself. Instead, the key to World Ducati Week’s success is the carnival atmosphere, that immerses attendees in the very best that the Ducati brand has to offer. Alex De Angelis is home at last. After spending nearly two weeks in a hospital in Japan, recovering from serious injuries suffered in a big smash at Motegi, the Iodaracing rider was flown home on Sunday, where he received further treatment in the State Hospital of San Marino. With the doctors happy that he was well enough to go home, De Angelis was discharged from hospital yesterday. Given the severity of his injuries – fractured vertebrae, broken ribs, and a badly bruised lung – De Angelis faces a long rehabilitation process. He will have to wear a back brace for 45 days, undergo continuous medical checks and start physical rehabiliation to recover his fitness. The doctors have ruled out a return to racing in the short term, but say that it may be possible for De Angelis to be fit for MotoGP testing in Sepang, at the start of February 2016.